Available from Shipping Containers Australia , refrigerated containers are intended for transportation and storage of goods requiring a fixed temperature. 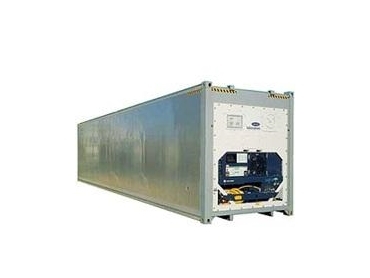 Ideal as cold rooms or freezers, these refrigerated containers can be used as mobile warehouses, providing heating or cooling for stored goods over long periods of time. Easily relocated, these refrigerated containers can provide a given temperature in a range from +25C to -25C to a variety of products requiring constant temperatures while in transport or storage. They are also used as back-up modules in times of breakdown of normal storage units. These refrigerated containers can also be used to store chemicals and other high risk materials and goods. There are three types of refrigerated containers: 20ft – 6mtr containers, 40ft – 12 mtr containers and the HiCube (oversized) containers.